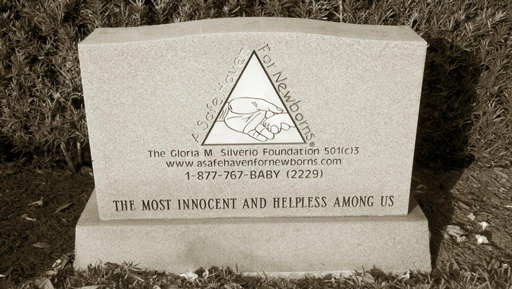 Garden of Innocence - A Safe Haven for Newborns | Pregnant Need Help? Newborns are now being saved in Florida as a result of the Safe Haven for Newborns program, providing them a chance for a future (Safe Haven Statistics). Unfortunately, from time to time, we experience the tragedy of a newborn left in an unsafe place and not surviving. The Garden of Innocence is made possible by the generosity of Woodlawn Park Cemeteries. 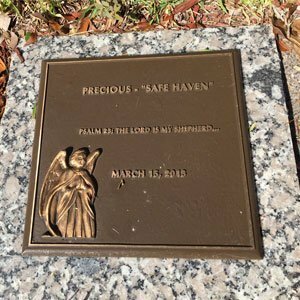 They have donated this beautiful location and the special headstone which will provide a dignified, peaceful, final resting place for a newborn that is abandoned, tragically resulting in their death. It is available by request at no charge. The management and staff of Woodlawn Park Cemeteries are very compassionate and caring. When asked to assist us, they replied “tell us how we can help”. We sincerely thank them for “Giving Back” in such an important way to the community and of course, we thank them on behalf of each precious child that will have a final resting place in this lovely garden. This precious child was a still born baby and went to the Lord on Dec. 15,2007. 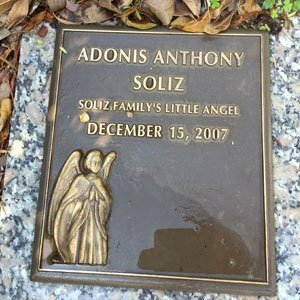 We were asked by a small church if we could give little Adonis a final resting place in the Garden of Innocence. It was a beautiful service. 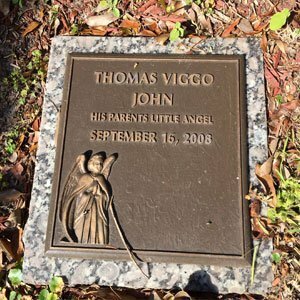 This little angel went to heaven on Sept. 16, 2008 as a result of a severe viral infection. Thomas was 12 days old. Through their Adoption Agency, his parents contacted us for assistance with the burial and a Christian service. We were extremely saddened that this innocent child was never given a chance for a future. She was left outside of a fire station in Clearwater, FL on a cold night in March 2013. The Medical examiner was not able to definitely determine if the baby was alive at at the time she was left at the station. We buried this precious child in a very emotional service. We were and still are heartbroken. The service was conducted by a priest with caring people from the community in attendance.